The 1886 Twenty dollar bill national currency note was issued between 1882 and 1908. 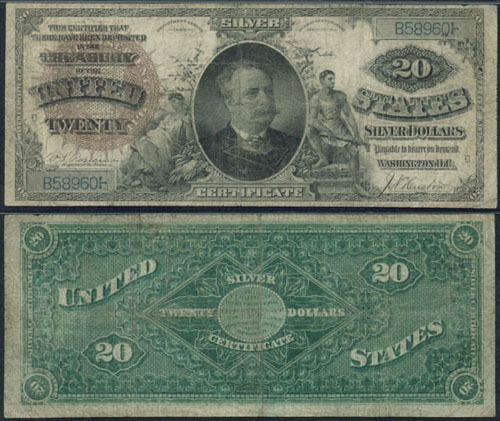 The value of your 1886 Twenty dollar bill is based on the bank that issued the note. Below I have listed all banks that issued 1886 Twenty dollar bills. If you have a $20 dollar bill from 1886 and want to know about it, contact me. Click here if your 1886 Twenty Dollar Bill looks like the note below.